The day after the Scotch Pie Awards I had some time in Edinburgh so started to investigate what the best Scotch Pies on offer there were. Crombies of Edinburgh seem to be highly regarded and won a Bronze award at the Scotch Pie Club Awards in 2011. It was a short walk from the city centre and I was glad I made the journey. 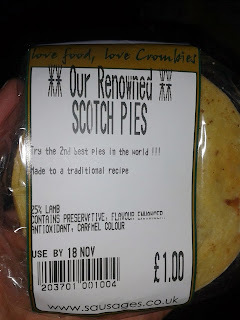 There wasn't just Scotch Pies available but a large range of others. I would have liked to have tried more but there was a limit to how much I could eat in a short time. In addition to the Scotch Pie I bought a Mr Cs Chicken & Ham which I reviewed at a later date. Overall the shop was an appealing, up-market butchers. The staff were friendly which made for a nice experience. Strangely the staff seemed to know they had won the fish pie category at the Scotch Pie Awards despite the winners not being announced for two months! The Scotch Pie was only a pound and while I was too late apparently they do serve them hot to take away around lunch time. 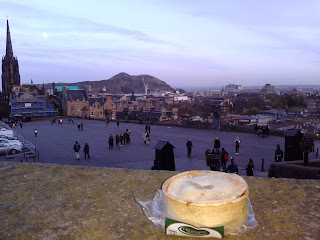 The wrapper claimed that this was the 2nd best Scotch Pie in the world. I assumed this meant they were runners up in the past at the Scotch Pie Club Awards. However, I couldn't see the evidence of this on the Scotch Pie Club website and wondered if it was quite an old award and they are living on past glories! 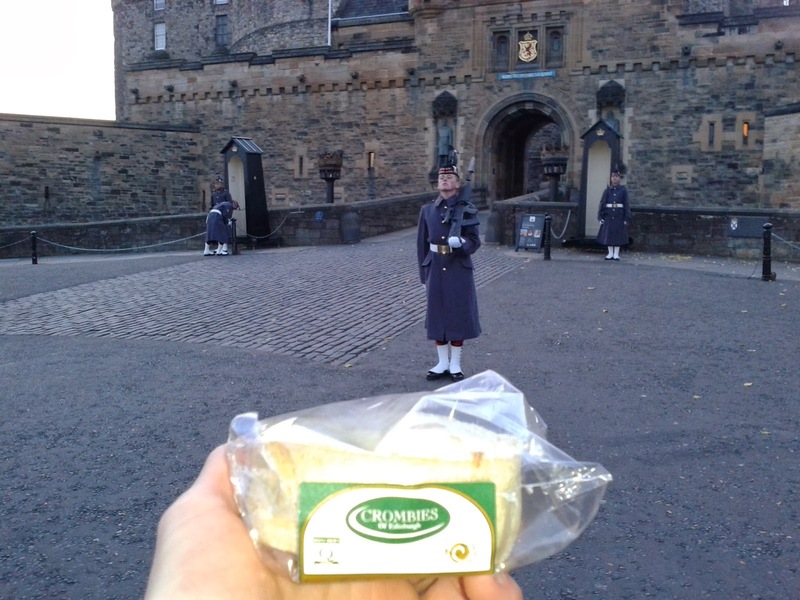 After purchasing the pie I decided to see some of the sights of Edinburgh. 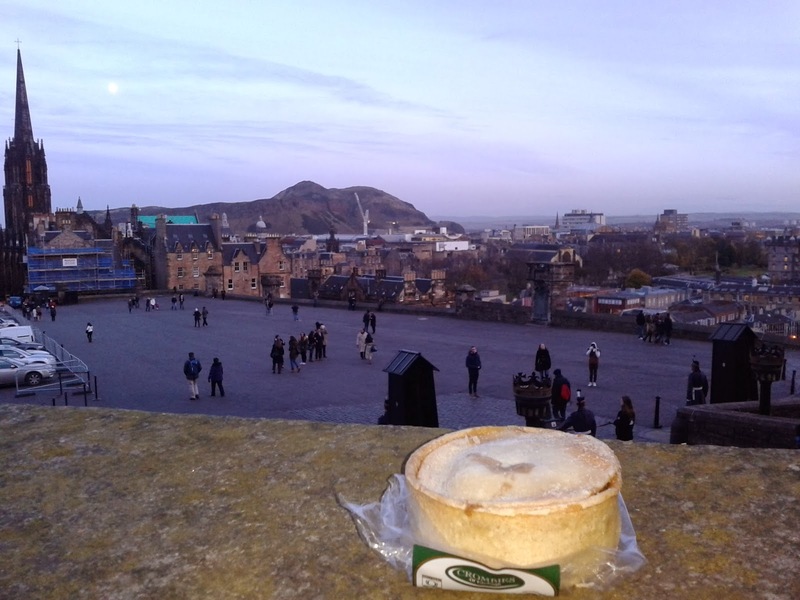 Given that this pie was 'of Edinburgh' I thought it might be a good companion for my tour. But the real question is what did this pie taste like? This Scotch Pie went for the traditional lamb meat option and the fat from the lamb certainly helped keep the pie nice and moist. 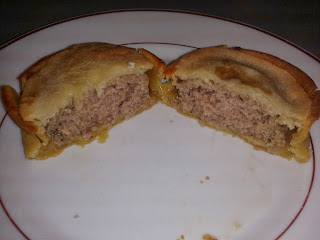 The filling was certainly not the most seasoned that I had ever had but sometimes Scotch Pies can be over seasoned and miss the right balance of flavour. There was a bit of an onion kick to it, but less so than the Edinburgh Piemaker pie (to which it was quite similar). I felt the pastry tasted a bit flour-y to me and had a bit too much crunch in places. The filling had some texture when compared to other Scotch Pies, but I still found it a bit mushy. However, it was a decent effort and while it might not be 2nd best in the world it is worth a visit to Crombies. 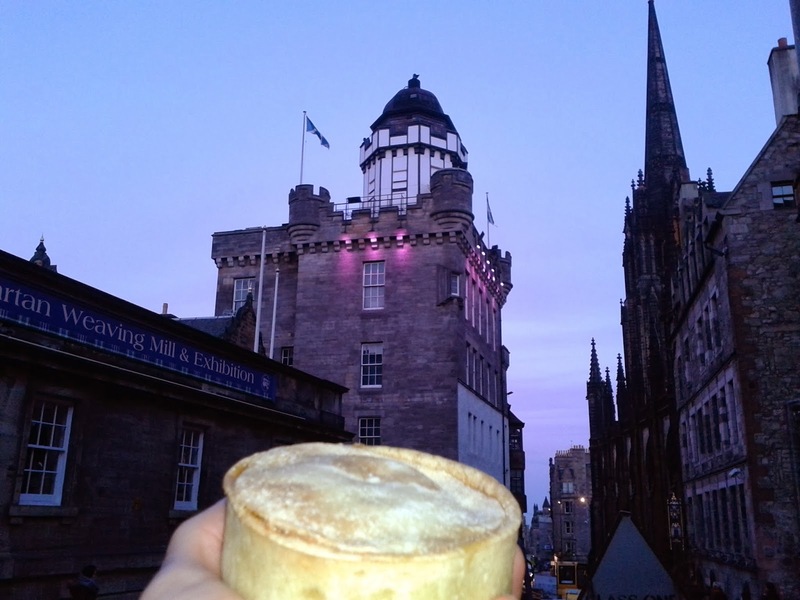 We've already reviewed many of the best Scotch Pies. See where this pie ended up in the Pierate Pie Rankings or find other pies of a similar flavour.